Finland was the first country in the west to give permission to build a new nuclear power plant after the Chernobyl disaster (1986). 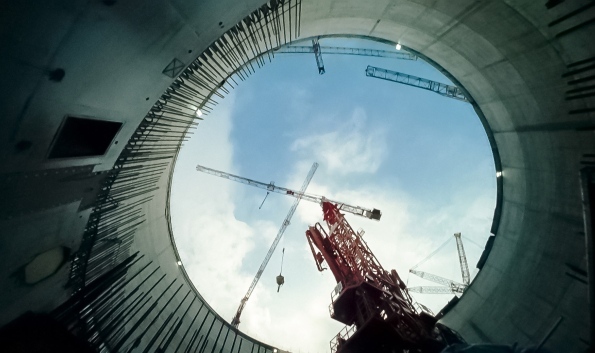 The OL3 plant in Eurajoki is being built by the French nuclear company Areva and was supposed to be ready in five years (2004–2009), being a calling card for nuclear industry’s second coming globally. However, the project has faced serious problems in planning, construction and safety automation. The project is delayed over nine years at the moment. The film RETURN OF THE ATOM portrays the strange and stressful life in a small „nuclear town“ during an era of nuclear renaissance. There’s hardly any anti-nuclear resistance in Eurajoki, which creates a tense, unspoken consensus amongst local inhabitants and leaves room for paranoid scenarios. Return of the Atom, Trailer from Deckert Distribution GmbH on Vimeo.